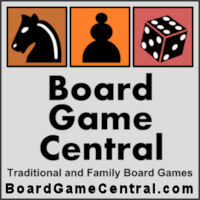 Home » News » Do You Sudoku? We've recently added a section here at Board Game Central for the amazingly addictive Japanese puzzle game called "Sudoku". 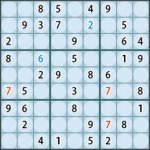 Sudoku has been fast gaining in popularity the world over, and is featured in a number of daily newspapers, books, and now in board game form as well. Sudoku is a Japanese word meaning "numbers singly", and is pronounced "SUE-dough-coo", with the first syllable accented. A Sudoku puzzle is made up of a grid of 9 rows and 9 columns. The grid is further subdivided into 9 sub-grids, called "regions", each consisting of 9 cells (3 rows and 3 columns). A game starts with some of the cells pre-populated, and it's your job to fill in the rest. The rules are pretty simple: Fill in the empty cells, one number in each, so that each column, row, and region contains the numbers 19 exactly once. When completed, each number in the solution will occur only once in each of rows, columns, and region. This is why the name of the game refers to "single numbers". Although the rules are simple, and there is no math involved, finding a solution can take a great deal of concentration and logical reasoning. Individual puzzles can often be solved in 10 to 30 minutes, depending on your skill and experience, and the difficulty level of the particular puzzle. There are quite a number of Sudoku board games, Sudoku computer games, and Sudoku books, available. If you haven't tried Sukoku yet, check out one of these promising new games, and you'll soon be able to answer an enthusiastic "Yes!" when someone asks you, "Do You Sudoku?" Note: This is an archive post; it was originally published on November 27, 2005.